The University of Vaasa is a multidisciplinary, business-oriented university in Vaasa, Finland. 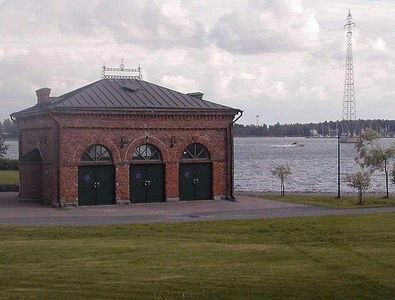 The campus of the university is situated by the Gulf of Bothnia adjacent to downtown Vaasa. The university has evolved from a school of economics founded in 1968 to a university consisting of four different schools: The School of Accounting and Finance, The School of Management, The School of Marketing and Communications and the School of Technology and Innovations. Philosophy and Faculty of Technology. University of Vaasa is one of the largest business universities in Finland. The university has personnel of around 500 which includes a teaching staff of 180 and 54 professors. Around 5000 students are currently studying in various degree programs at the university. In 1966 the Council of State made the decision to establish a School of Economics and Business Administration in Vaasa, and so Vaasa got its first institution of higher education which the region of Vaasa had worked for since the 1940s. The very next year the first students started their studies; 90 business and 60 correspondence students. The first principal to be chosen for the school was Tryggve Saxén and the first vice principal was Mauri Palomäki, who later would become the longest serving principal the school has seen so far. The lectures were first held in a yard building of Vaasa Commercial College in Raastuvankatu street, but in its second year the school moved into the whole house as the commercial college moved to a new building.